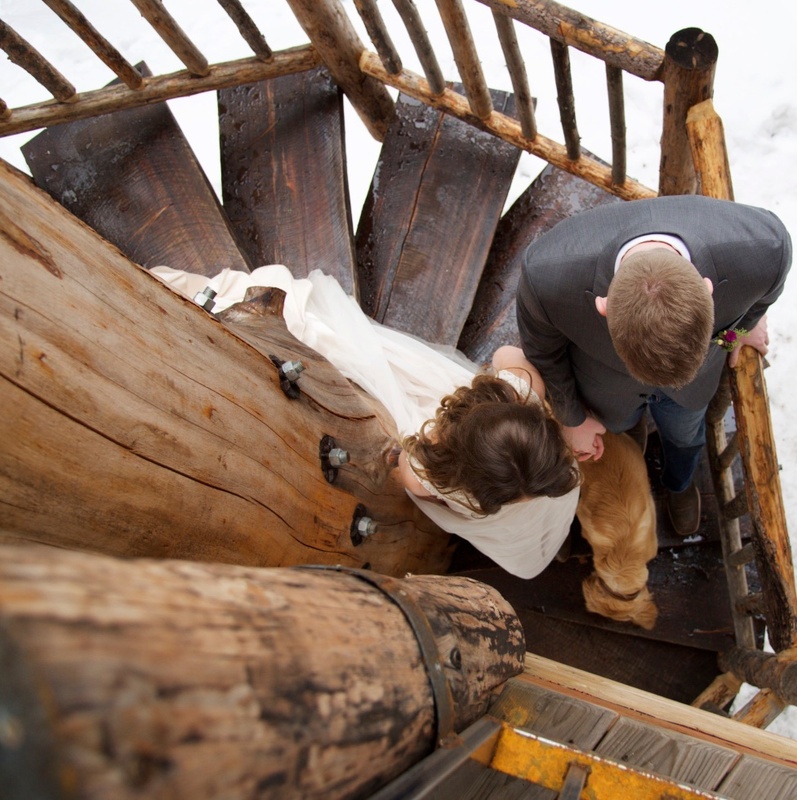 There's nothing more romantic than eloping with the one you love in Montana. Any time of year, Montana has so much to offer with it's picturesque landscapes in all seasons including winter! Elopements are so much fun as they are so much more natural, less fuss and more about the couple's love than anything else. The treehouse is the perfect setting to say your "I Do's". 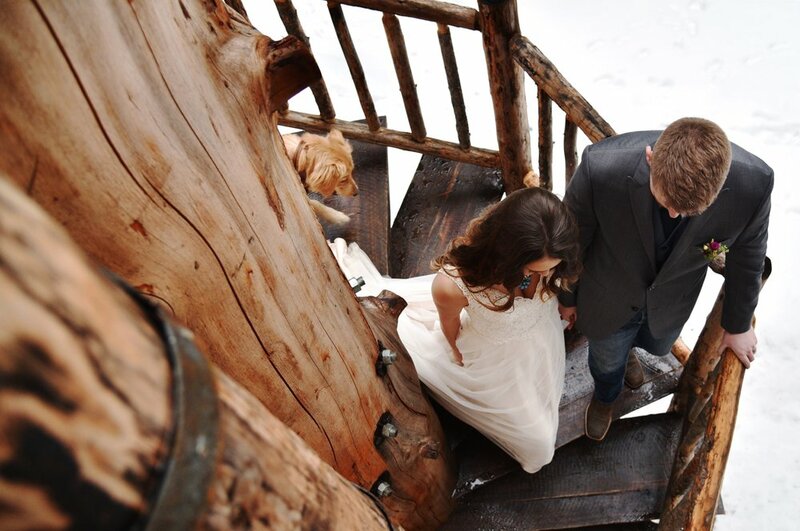 Lindsey Jane Photography captured this couple beautifully at the Montana Treehouse Retreat this winter in the snow. The end result is a dreamy fairytale rustic elopement. It reminds me of scenes from Snow White, except with a cute pup and with a Montana twist. A treehouse, your big love and your fur baby. What more could you need? See for yourself.